Never forget what we were fighting for! 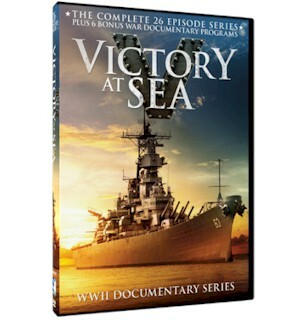 Get a firsthand look at every major naval engagement of the World War II with the Victory at Sea DVD Set. This incredible 3 DVD set includes all 26 groundbreaking episodes of Victory at Sea - which have been lovingly restored, complete with new introductions for each episode. EVERY history buff should add this to their collection. Click here to order and See the war like never before with Victory at Sea on DVD!